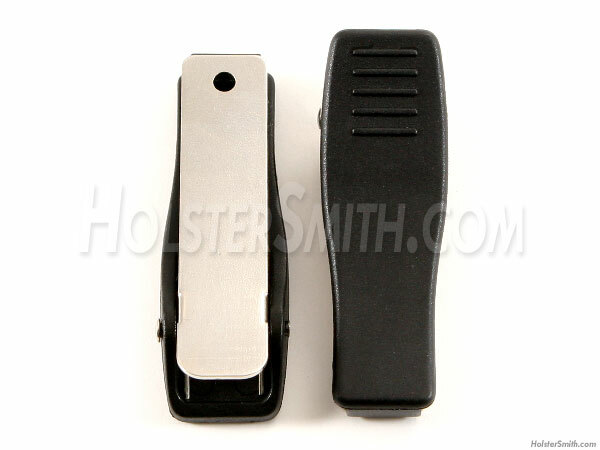 These are Model 9 universal sheath/holster clips. They are excellent for mounting on KYDEX, HOLSTEX, Boltaron and leather carry systems and are very durable. This model is black coated (Tactical style) and is a common finish on military sheaths/holsters. This design features a spring mechanism that clamps over your belt or waistband and features a retention hook on the bottom flange to securely hold it in place. 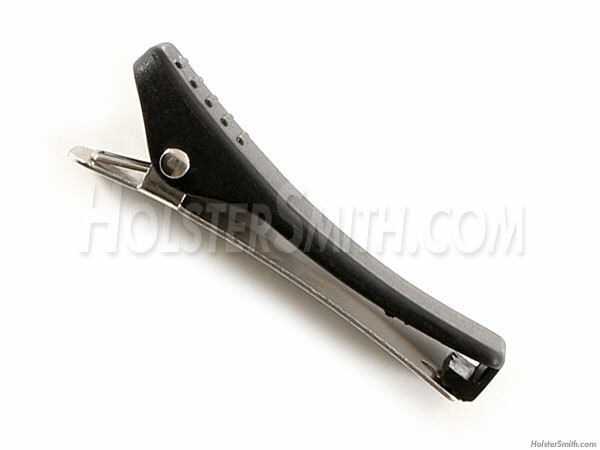 To insert or remove, simply depress the spring side of the clip and it will open up, allowing it to release. These are very handy, easy-to-use and allow for quick and secure mounting and release.